Whitney put on her favorite dress for me. It was a lovely jersey knit maxi with a full skirt sweeping the floor and halter neckline that highlighted her strong shoulders. Then she held up her inspiration, her mother’s wedding dress. It was a 1960s A line shift that stopped just above the knees, with a high crew neck and no sleeves. Over it was worn a a long sleeve lace jacket. It was a very cute ensemble, but did not have the same feel as Whitney’s favorite dress. Can we make a new gown that is all Whitney’s style incorporating elements of her mother’s gown? 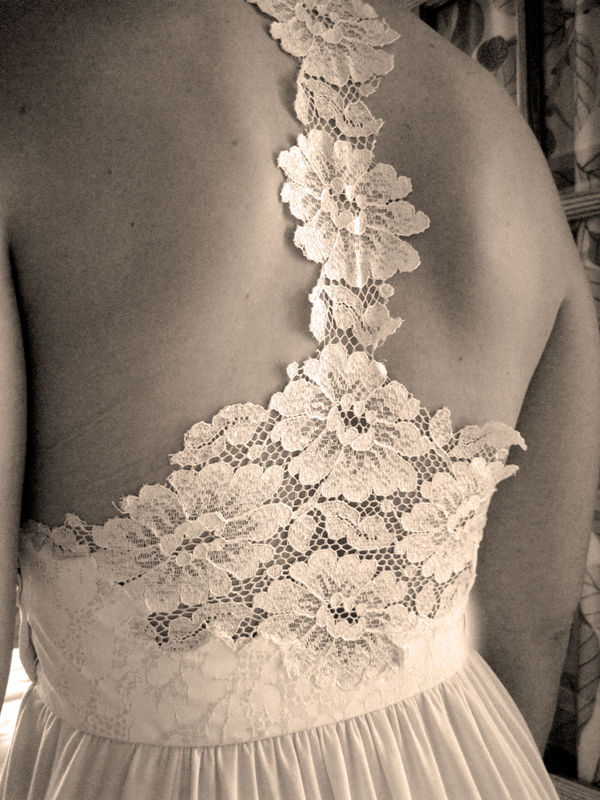 The silhouette of Whitney’s custom wedding gown was drawn directly from her favorite dress. The gathered halter top cinched in at her narrow waist, the skirt skimmed her hips and fell straight to ground with soft fullness. 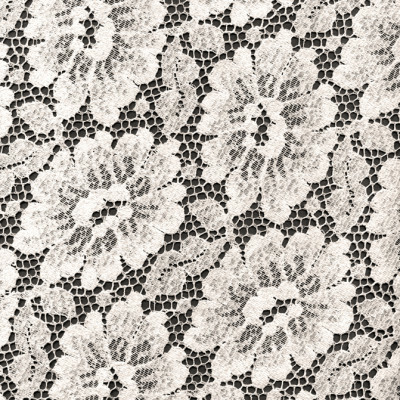 To honor Whitney’s mother’s gown, we focused on the lovely flowered lace. Inspired by the design, Jocelyn created a silk screen of the lace pattern, which we used to print on the new gown’s waistband. The subtle white print on cream fabric gave elegance and personality to the gown. Using a section of lace fabric, Carla cut around individual flowers in the form of a narrow band creating a racer back shape for Whitney’s dress further highlighting her lovely shoulders. Now her mother’s flowers were wrapped around Whitney’s waist and cascading down her back. As a final touch, buttons reused from Whitney’s grandmother’s wedding gown were placed along the side closure of the finished gown. A new brand new gown using vintage elements. Seeing Whitney’s smile as she tried on her finished gown let us know we had successfully highlighted her unique style! 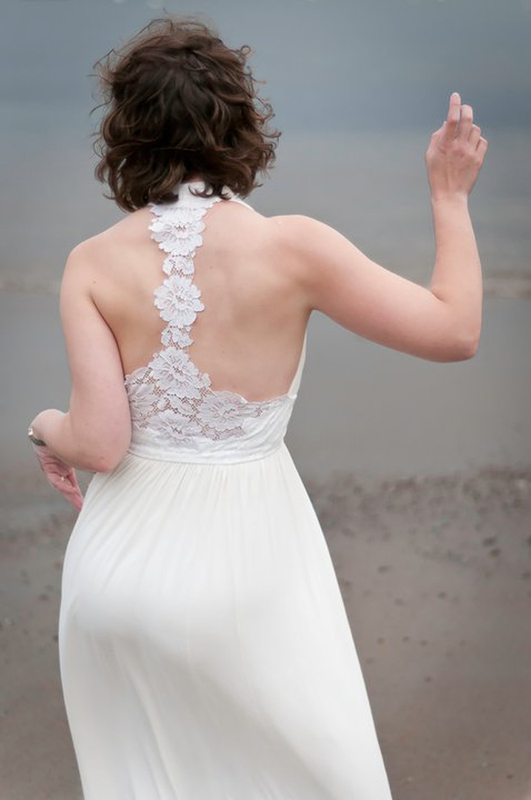 I can’t imagine what it is like for a sale’s clerk to ask, “Is this your dress?” Yet, I am certain I know what it feels like to walk down the aisle with an unflappable “Yes!” It is not a dress of another’s dreams; it is a dress that honors me. It is a dress that was made for me. It is the dress that was crafted with careful hands for that day. With each stitch, and each choice, I was considered and consulted. Every detail is chosen in tribute to a special person in my life, lace from Mom’s wedding dress, Gram’s buttons, my love of printing. I am not the sort of person that likes to shop in major department stores. My first time trying on a wedding dress in a big retail chain was awkward. A lovely girl I had never met, continued to tell me, “This one looks really good on you.” Mom would turn up her nose, knowing that I was going to say, “It just doesn’t feel like me.” She has heard the same sentiment, different words, continuously, since I was 14. So I took other measures, online, vintage shops, consignment stores. I tried on white dress after white dress and my fiancé would say, “It is really nice, but it doesn’t look like a wedding dress.” I kept trying to convince him that I was not like other brides. He already knew that, though. When I realized Fermata Designs was in my budget, the hunt was over. 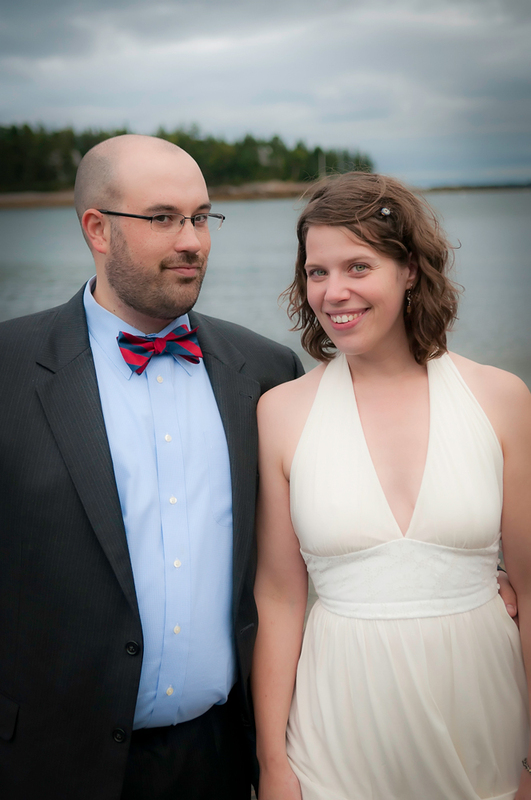 Nick didn’t have to look at any other “not-so-wedding” dresses and my mom would be included through photos and e-mail. I was in caring hands, now. I explained the wedding and what I wanted for that day. I showed Carla our invitations and the crafts I made for the wedding. She cried, we shared a moment. I knew I would have nothing to worry about. For one time in my life, I found someone that was on my page. So I imagined and she created. 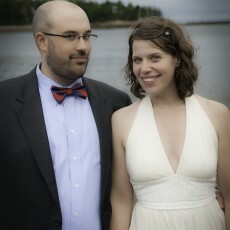 On a very gray day in Maine, I exchanged my vows, looking like the prettiest form of me I can look. There was never a fear, never a stress, and I wouldn’t have it any other way. Designer, embroiderer, lover of popcorn.